3 Doors Down logo on the front and song title, Kryptonite on the back. I ordered a shirt for my wife who absolutely loves the band. We received the order quickly and she is very happy with the purchase. Love the band and I am lovin the shirt. One I will be wearing alot. Thanx guys. I love this t-shirt ??!! 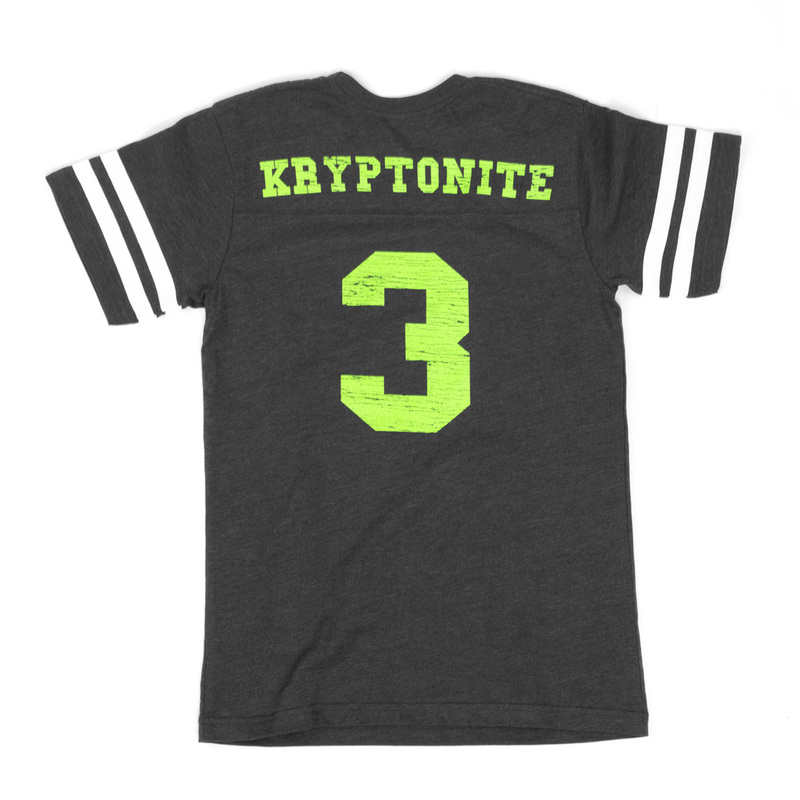 It definitely stands out with the neon green lettering. It is very soft and roomy!! I absolutely love my shirt! It's soft, comfortable and fits well! And, I believe that I am the only one at Fort Gordon who has one! Well made &amp; great fit. Shipping was slow. 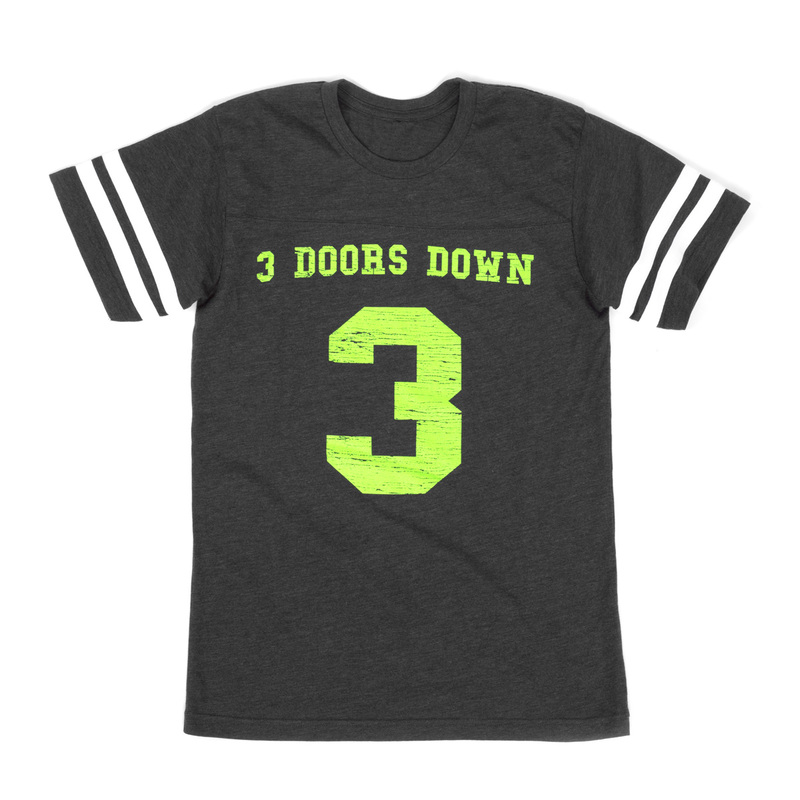 Super for ant 3 doors fan! Great shirt! Nice and soft material, and fits great! Great shirt, nicely made. Love all my 3DD merchandise. I love this shirt. The material is very nice and it fits well. Love the cut and fit of the shirt. Colors are richer than expected. Love this purchase! I have always been very pleased when i have ordered merchandise. Good prices and delivery time. Thank you !! !